Most people visit our weekly meetings around 2 to 4 times before deciding to join. Being comfortable speaking doesn't equate to great...become great! Perhaps you are asked to give a toast, speak at a memorial service or make a sales pitch to a potential client or corporate board. Speeches like these are important to your life and career, and you must perform them well. 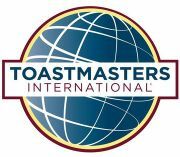 Toastmasters International has spent the last 85 years helping people with their public speaking needs, and we can help you too! Participating in Toastmasters will prepare you through almost any event involving an audience, including business presentations and various special occasions. In addition, you'll find advice on managing your stage fright and finding speech topics. When you're ready for more, come visit our next meeting. You can see who else is thinking about visiting our club by checking out our Meetup Group.. If you would like someone to contact you, please visit our Contact Us page. Carpenter Drive is just north of I-285 intersection of Roswell Road. We meet in Campbell Stone apartments, which is a block past the Comfort Inn Suites.